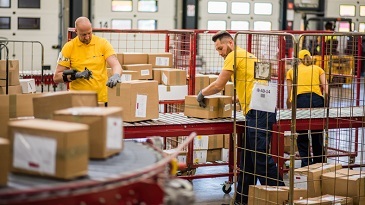 If you’re running a warehouse or a manufacturing plant, you’ve probably realized that the key to smooth and cost-effective operations is literally in the hands of your employees. 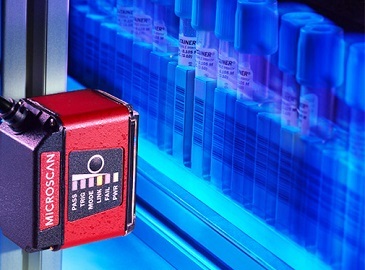 Handheld barcode scanners are essential whenever specific products, clinical samples or work-in-progress (WIP) parts need to be reliably tracked without the luxury of a fully automated system. Many things on the factory floor can be automated, but other things, such as external deliveries, are unpredictable and tricky to automate. In these situations, humans must take over the responsibilities of track, trace and control (TTC) so that items’ whereabouts can be known at all times and important data can be recorded for future necessity. Track, trace and control is an essential strategy for streamlining manufacturing operations. If you can always look up where a part or product is, where it has been, and where it will go, as well as the assessments of its quality at each checkpoint, you will be in a good position to maximize quality, cut costs and minimize waste of time and material. In highly automated settings, such as self-contained equipment for analyzing the contents of blood tubes, TTC is built into the apparatus itself. Laboratory employees rarely need to scan specimens manually once they’ve been placed in these machines, since the machines themselves shunt the tubes past inspection points that gather all the necessary data automatically. However, there are many situations in which manual scanning is necessary because there’s no way to incorporate it into an automated system. At distribution centers, packages of all shapes and sizes arrive in a variety of containers. The pallets can be extremely heavy and clunky, making it inconceivable to develop an automated system for scanning them at drop-off. It falls to human workers to scan the pallets – and possibly the individual packages – as they transition from truck to distribution center. 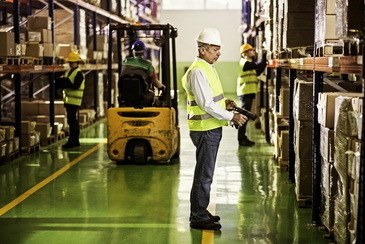 Handheld scanners in the shipping and receiving industry need to be sturdy and reliable so that employees can get in as many scans per shift as possible. The delivery of patient samples from the hospital floor to the laboratory is another example where handheld scanners are necessary. The advanced laboratory testing equipment is specialized to perform certain tests on certain types of samples, but the laboratory itself receives all sorts of deliveries ranging from tiny cheek swabs to large tubs containing 72-hour stool collections. A hospital laboratory can also receive larger tissue samples, or organ donations that need to be tracked. Only humans with their trusty handheld scanners could possibly deal with such an unpredictable hodgepodge of samples, so a team of specimen processing technicians is responsible for scanning the EMR data into the system and determining what to do with each sample (sometimes based upon hastily handwritten notes from physicians). Though these technicians go through many weeks of training, they still encounter new situations each day that require them to pause their processing and call the person who ordered the collection of a problem sample. Automating these TTC tasks remains a futuristic vision, so handheld scanners will be relevant in hospital laboratories for years to come. The automotive industry is one of the environments driving the evolution of highly rugged, “nearly indestructible” handheld scanners. In such situations, the scanners need to be ready for anything – a sudden spray-down by a pressure hose, a shower of disinfectant chemicals, multiple tumbles onto a concrete floor – you name it. The barcodes and direct part marks (DPMs) are also constantly subjected to the pressures of the surroundings and are liable to fade away or get contaminated with dust and grease. As necessity is the mother of invention, great feats of engineering have gone into making handheld scanners as rugged as possible and capable of reading the toughest codes on any substrate. High-performance, industry-ready handheld scanners are an essential component of TTC systems when it’s impossible to fully automate operations. When everything is tightly controlled and predictable, it’s relatively straightforward to place barcode readers at fixed locations on industrial and laboratory equipment and – for the most part – let the equipment run itself. But when things aren’t predictable, humans need to use their handheld scanners to keep things running. Watch out for information on the new Omron Microscan DPM Handheld Barcode Reader designed for automotive, machine building and heavy industry applications!